Thin, modern design and a neutral colour, the Simone Rectangle chair is a fantastic addition to any modern home and dining area. 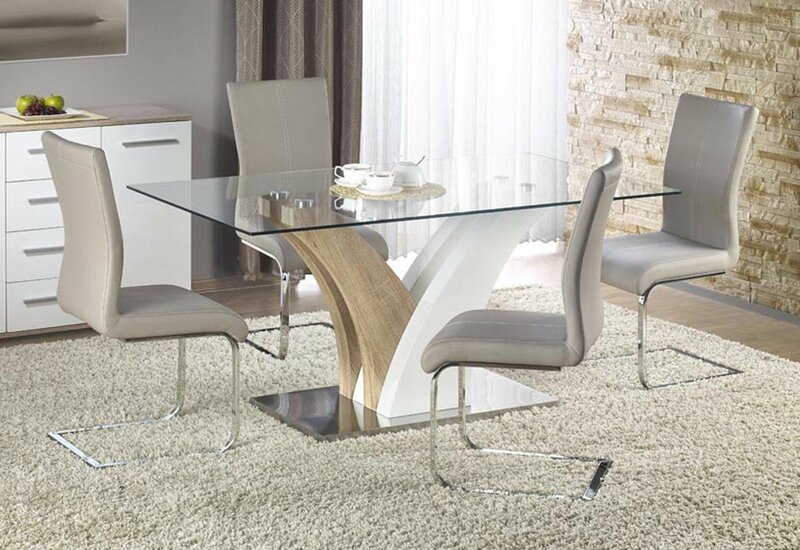 The clear tempered glass dining table top reflecting the light adding a sense of fresh ambiance in the room. This dining set comes with a PU chair and held up by thin Cantilever chrome legs, the chair has a comfortable and stunning, simple design. The rectangular shape has a boldness to it, and accentuates the modern, simplistic style. Sold in sets of 6 so that you can kit out your Dining Room easily.